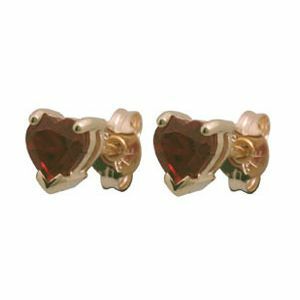 Ruby heart stud earrings crafted from solid 9 carat yellow gold. 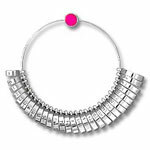 A romantic gift for Valentine's Day or just to say I Love You. Gemstone: 2 x Created ruby red heart 5X5 mm. Material: 1 x Gold earring back pair.